Understanding the impact of an incident falls under the “Respond” portion of the NIST cybersecurity framework, but there are a number things you can do ahead of time to make the task more manageable. First, ensure that you have an accurate asset inventory. This inventory outlines the various devices on your network, the details of what each component does and where the device fits in your overall data system. This information gives your organization a starting point for where to look for potential compromises during an incident. Your inventory should also annotate which devices are most critical to business operation. 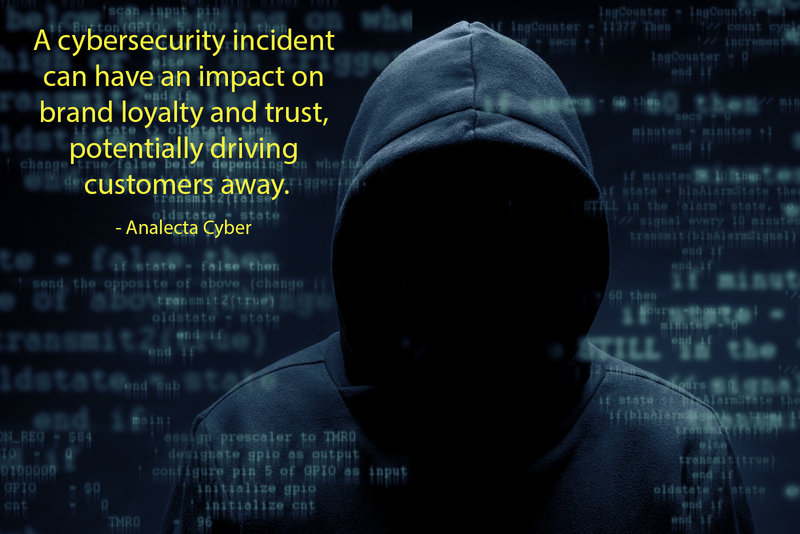 If any of these devices are compromised, you will be able to get a more complete picture about the impact the incident is having on your business. Companies that allow employees to “bring your own devices” (BYOD) onto the network should also have an inventory of these personal devices, as well as how and when they access the network. Cyber criminals are skilled at concealing their work. Identifying the true impact of a cyber incident may require expert technical and business analysis. Several factors may be the same for multiple businesses, such as a public facing web server. However, the impact of a loss to the web server for even a few hours will be more severe for a business that receives nearly all of its revenue online than a company that only uses a web server to advertise for additional clients. After you understand the risks that your organization are most likely to face, place a dollar figure on them. Assess the cost your business could potentially incur if that asset was degraded or destroyed. This will give you a starting point to work with when evaluating expected cost during incident response and recovery. According to the IBM Security/Ponemon Institute 2018 Cost of a Data Breach study, an average data breach costs $3.86 million, however, organizations that are prepared with an incident response plan can save on the order of $340,000 per breach. The good news is that the faster a data breach can be identified and contained, the less the incident will cost your organization. This could be the difference between staying in business or shutting your doors for good. The world of cybersecurity is constantly changing, and it pays to be “in-the-know” with the latest cybersecurity strategies and regulations. We can help your business stay current on important topics that can keep your business more secure. Send us an email us at info@analecta-llc.com or visit the Cybersecurity page on our website. We are here to help!